Federal Manufacturing Corporation has been privately owned and operated since 1951. Specializing in the manufacture of precision, high-strength aerospace fasteners, Federal is dedicated to delivering product with the highest quality, shortest lead, and best on-time delivery in the industry. Federal’s quality system is accredited by industry leader, Performance Review Institute (PRI), to both AS9100C and ISO9001:2008. 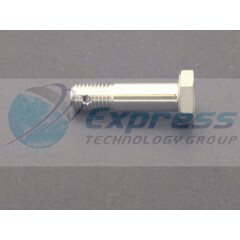 Boeing standards and specials, as well as NAS fasteners, are manufactured and stocked in a variety of sizes, platings, coatings, and special features, such as drilled holes and self-locking elements. In addition, Federal can manufacture a wide array of special or proprietary parts made from Inconel, A286, or alloy steel, with various head configurations, including 12-Point, hex, double hex, flush, pan, and more. Located in southern California, in the city of Chatsworth, Federal’s 38,000 square foot facility boasts state of the art machinery, constantly maintained and upgraded to produce fasteners with workmanship that is second to none. It is this commitment to quality and continuous improvement that has made Federal a preferred supplier of aerospace fasteners for over 60 years. 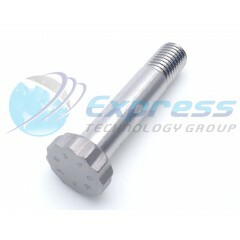 HEX HEAD BOLT.. . . .
BOLT, CLOSE TOLERANCE**In Stock - Same Day Shipping!**.. . . .